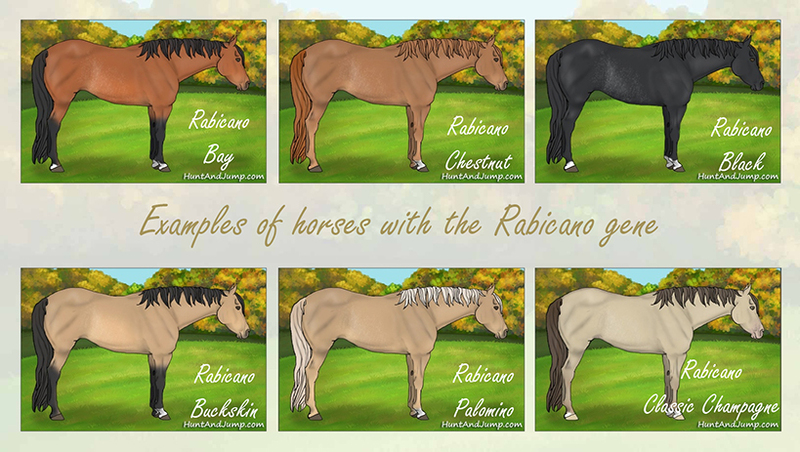 Rabicano is the name for white hair along the tail head and flanks of a horse. These ticking/roaning patterns often form distinct stripes. The inheritance of rabicano is not well understood.